Hello! 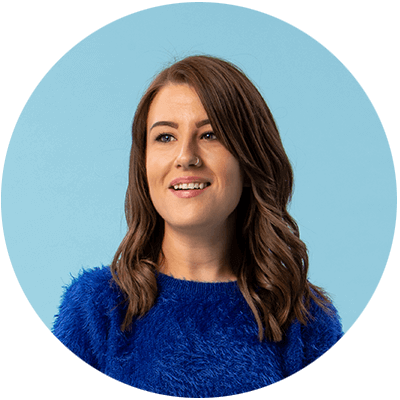 I’m Amy, and I’m part of the Studio team at instantprint. I wanted to give a quick guide to transparency that so your print always shows you off in the best possible way. When you create a PDF document, you’ll have lots of layers with different objects on them. These layers overlap to create your finished design – and this is where transparency comes in handy. If your top layer has no transparency, it will block objects on the lower layers of your document when it’s printed so you can’t see them properly. That’s why it’s essential to set transparency up correctly before you send your artwork to print. The easiest way to make sure your artwork will look awesome when it’s printed is to ‘flatten’ the layers in Adobe Photoshop. That way, our commercial printing presses can read all the layers correctly. Make sure you save it at high resolution (300dpi) to avoid the artwork looking blurry. Extra tip: Once you’ve flattened artwork, it can’t be edited or amended in the future. Keep a copy of the original design file (select ‘Save as’) just in case you want to edit it in the future. When you upload your artwork to the website, we’ll send back a proof for you to approve. Our online tool will automatically flatten transparency in your artwork file before you receive this proof – so make sure you double-check how it looks before sending your design off to print. If we can’t flatten the transparency for you, you’ll see a warning. If you do get this warning, it’s especially important that you check your proof before approving your artwork for print just in case the flattening process has affected your design. If you’d like more help with this, you can get in touch with my team after you've placed your order and we’ll be happy to help! Send your questions over to us at pa@instantprint.co.uk. Saving your file as a JPEG is the easiest way to flatten your layers ready for print!